Since the beginning of the season, I've been creating holiday nail art with the China Glaze Holiday Joy Collection (below) from HBwigs.com. In addition, I've also been featuring Incoco designer polish appliqués (right) for those of you who aren't as skilled at nail art. Both of these brands have done extremely well and I'm really happy to have shared their amazing products here on my blog. So many of you have sent me amazing photos of your nails inspired by my looks and I'm so touched, flattered and proud of you guys! I love to discover and share great quality products, as well as inspire you guys, and today I'm keeping up the tradition and wrapping up the year (as well as my nails) with China Glaze, Incoco and another festive nail art! Cheers! 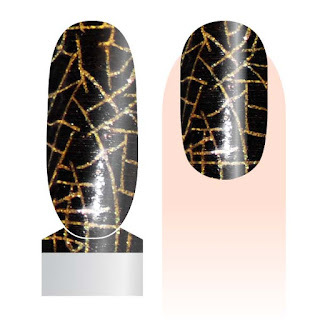 Incoco Nail Polish Appliqué Designer Manicure in Rush -- a rush of shimmery gold circuits through shiny black. Incoco Nail Polish Appliqué Designer Manicure in Temptress -- tempt and tease all you want in this sassy purple crackle design. 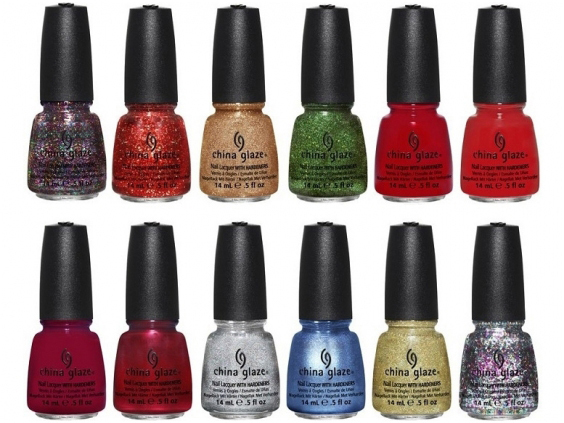 China Glaze Nail Lacquer in Glitter All The Way (first, top row) -- red, purple, gold, green small and medium size glitter polish. Used on the tips and thumb accent nail. China Glaze Nail Lacquer in Pizzazz (last, bottom row) -- silver, pink, gold, light blue, green medium and large glitter polish overlay. 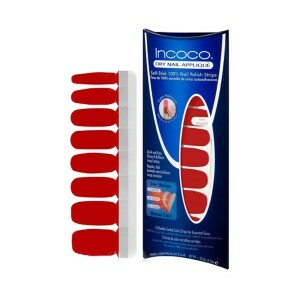 Used on the tips and ringer finger accent nail. Zoya Nail Lacquer in Electra -- holographic silver glitter strips, used on the tips. absolutely beautiful love it I cant wait to see all your new ideas for the new year cheers !!! In 2003 You have bloomed into a hugely attractive,alluring,amazing,beautiful,creative,charming,divine,dashing,debonair,dazzling,delightful,exciting,fabulous,fantastic,fashionable,gorgeous,lovely,magnificent,ravishing,sensuous,splendid,scintillating,sensational,successful,suave,sensitive and an incredible phenomenon and a thoroughly dedicated,industrious,committed and achievement oriented professional. Your blog has taken huge strides forward and leapfrogged in terms of design,variety,colors,quality & content. May the Year 2013 bring to you all things Wonderful, Splendid & Sparkling,Delightful & Joyous and full of Peace & Prosperity, Health & Happiness. You would love my blog!!! como soy nueva en este mundillo. te invito a que te subscribas a mi Blog. 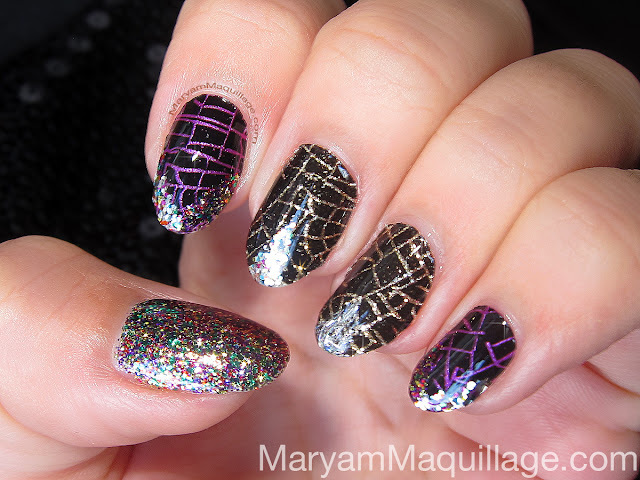 Oh wow, crackle and glitter are so lovely together. Definitely something I'm going to try.